You can't afford to ignore this. et's jump in and seize control of your medical practice reputation management. It’s no surprise that your practice’s online reviews play a huge part when potential patients are choosing a provider. It’s important to encourage your patients to leave reviews so your medical practice is easily found online. SR Smart Reviews can help you build your online presence so new patients can find and choose your practice. Convenience – Your patients are just as busy as you are, so make it easy for them—send a link to review your practice through a text message. They can complete the review before they even leave your office, while their experience is still fresh in their minds. Intelligent guidance – SR Smart Reviews helps your practice determine which patients are likely to leave you a positive review. 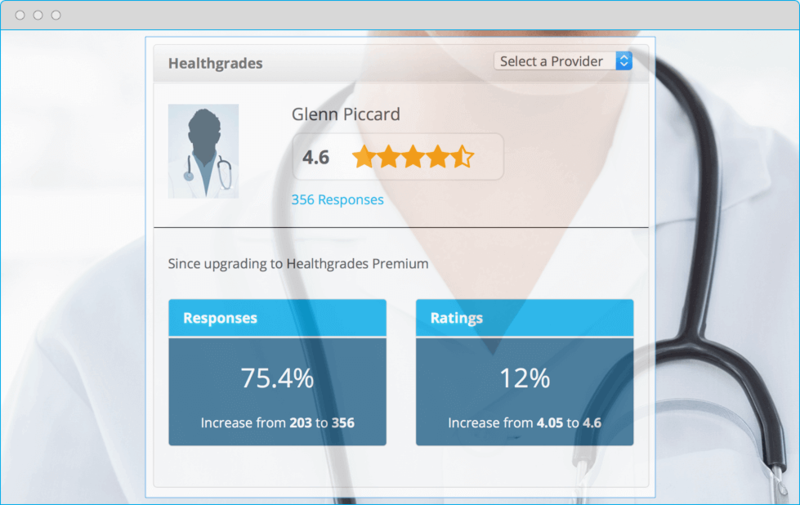 It also easily collects a Net Promoter Score (NPS) so you can see at a glance your overall patient satisfaction.  Reviews on all platforms – Positive reviews are great, but you don’t want them all in one place. SR Smart Reviews directs your patients to leave their glowing reviews on all of the major review sites including Google, Yelp, and Facebook. Still feel like you need more of an online presence? Solutionreach has partnered with Healthgrades, the number one resource for online medical doctor reviews and listings. 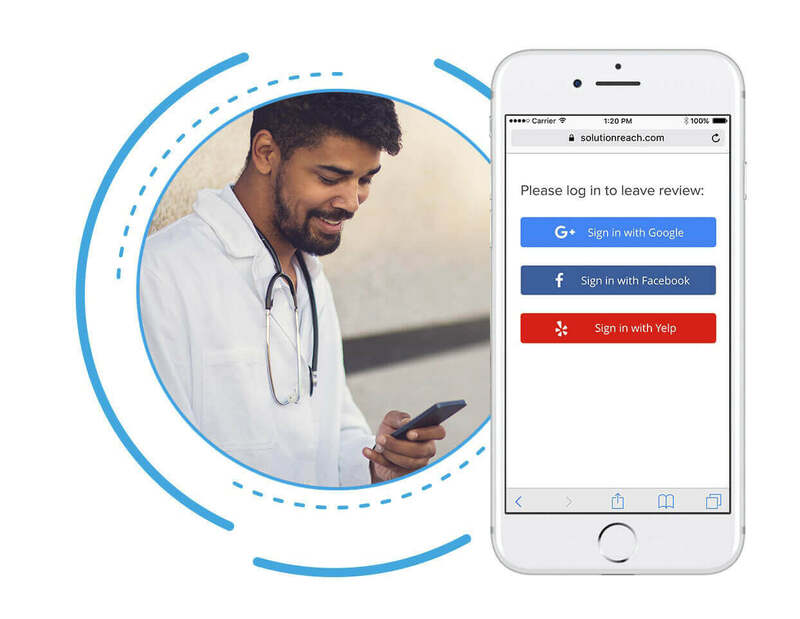 A Healthgrades profile paired with your Solutionreach subscription will not only increase the number of potential patients who will find your practice online, it also makes it easier for your patients to connect with your practice. 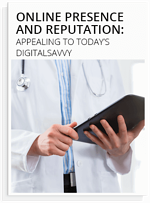 Learn how to appeal to today's digital-savvy patients.